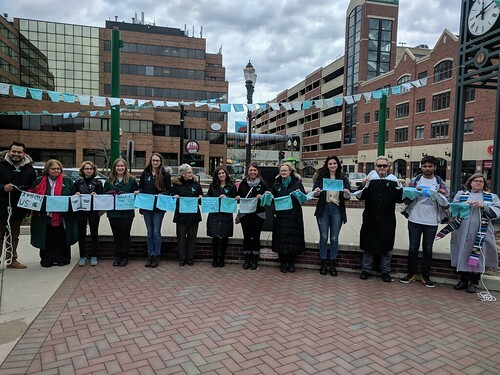 EAST LANSING - Survivors of Larry Nassar's sexual abuse are being honored with teal prayer flags. The City of East Lansing and Parents of Sister Survivors Engage (POSSE) have partnered to have the flags installed Tibetan tradition. Their will be 505 flags to represent each of the 505 known survivors. Last week many were installed along Grand River Avenue and this week additional flags will be installed adjacent to Anne Street Plaza. POSSE has been creating the flags since fall 2018. Valerie von Frank, founder and chair of POSSE and a mother of one of the survivors said the the flags will be a reminder to everyone. “In making these flags, our goal was to hang them near campus for all to see and, as prayer flags, spread their messages of goodwill on the wind throughout the community,” von Frank said. The Mayor of East Lansing Mark Meadows showed his support. 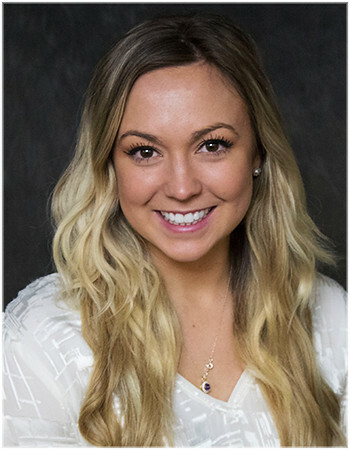 “We are honored to be able to provide a public space for these flags, which will be prominently displayed throughout the month of April as part of Sexual Assault Awareness Month,” Meadows said. Michigan State students showed their support by leaving words of encouragement on the flags. Other campus organizations and local business volunteered their time and skills to make the flags.